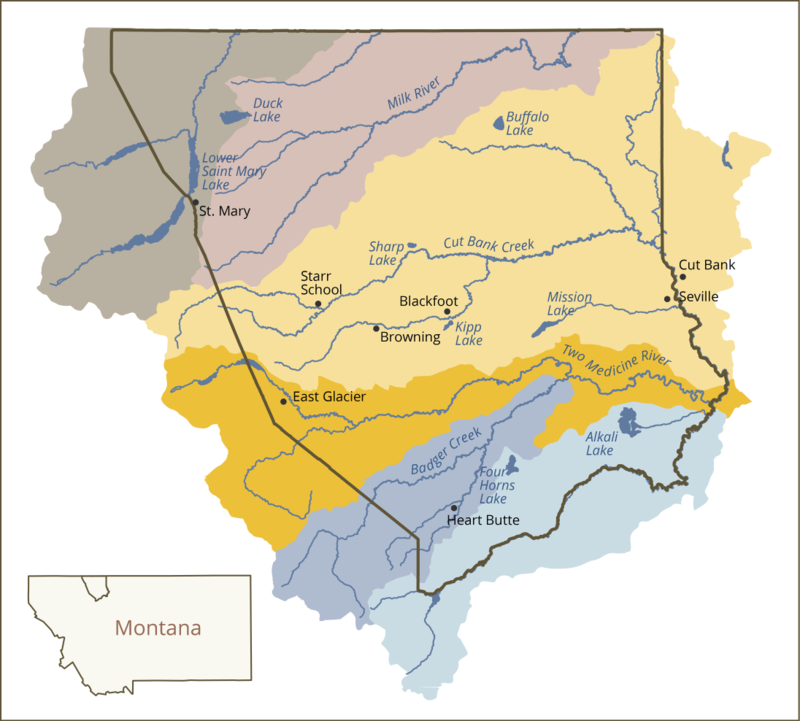 A finalized water rights agreement would provide more than $470 million in federal funding for projects that would provide important improvements to watersheds, as well as jobs and benefits for members of the Blackfeet Nation. The projects in the settlement focus on improved water usage on the Reservation for community water supplies, irrigation, fisheries, recreational lakes, energy projects, resolution of environmental issues and other water related uses. Community water systems will be improved and/or constructed to provide adequate drinking water for all Reservation communities. New irrigation projects, including additional storage, in the St. Mary, Milk River, Cut Bank Creek and Birch Creek areas and potentially other areas. Improvements will be made to the Blackfeet Irrigation Project, including deferred maintenance, on-farm improvements and improvements at Four Horns Reservoir. A pipeline will be built to provide water to Birch Creek water users under the Birch Creek Agreement and then provide water to the tribe for its own use or to market others. Improvements will be made to recreational lakes throughout the Reservation to improve access and to provide facilities and other improvements. 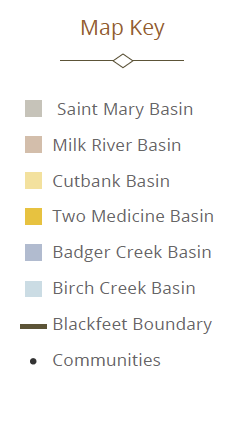 Changes and improvements will be made to address environmental concerns relating to use of Swiftcurrent Creek and St. Mary Lake by the Bureau of Reclamation Milk River Project. Acquisition of Reservation fee lands with a focus on those with state water rights. Projects to improve fisheries throughout the Reservation will be implemented. Funds can be used for water related energy issues.